Brassica napus is a polyploid of certain research and economical value. Resynthesizing B. napus with diploid B. rapa and B. oleracea is essential for Brassica research because of the limited genetic background of B. napus. Considering that polyploids possess better agronomic traits and resistance compared with the corresponding diploids, we investigated drought tolerance after polyploidization of B. napus and revealed the epigenetic differences between polyploids and diploids. After drought stress, B. rapa and first-generation of synthesized hybrids (F1) were more wilted than B. oleracea and F2–F4 generations. However, the relative water content and water retention in F1 were better than others after drought stress. 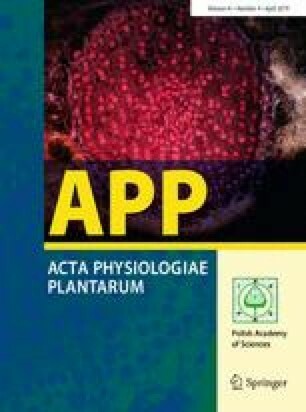 The increased number of partially opened and closed stomata in F1 was not as significant as that in F2 and F3, but stomata density in F1 was lower than F2, and the stomatal size in F1 was significantly reduced than F3. Physiological parameters varied among different generations of B. napus and diploid parents, and most of these parameters in hybrids were higher than B. rapa and lower than B. oleracea. However, the peroxidase activity in F3 and F4 was significantly higher than both parents, and the malondialdehyde content in F3 and F4 was lower than both parents, indicating that F3 and F4 might be more adaptive to oxidative stresses than other generations. DNA methylation level was decreased in F2 and F3 compared with F1, and then increased in F4. Methylation-sensitive amplified polymorphism analysis revealed that DNA methylation and demethylation broadly happened after drought stress. The methylation and demethylation level was F1 > F4 > B. oleracea > F2 > F3 > B. rapa and B. rapa > F4 > F3 > F2 > B. oleracea > F1, respectively. The epigenetic changes under drought stress might be related to the different stress tolerances during B. napus polyploidization. The online version of this article ( https://doi.org/10.1007/s11738-019-2837-6) contains supplementary material, which is available to authorized users. This work was supported by the National Natural Science Foundations (31771824, 31330057, 31771825, 31401414), National Key Research and Development Program of China (2016YFD0101000, 2016YFD0102000), China Postdoctoral Science Foundation (2015T80591, 2014M561719), Jiangsu Postdoctoral Science Foundation (1401078B), and the Priority Academic Program Development of Jiangsu Higher Education Institutions.